Michigan State University has a history of being involved—whether we want it or not—in nearly every area of social and political life and this includes military service. M.A.C. had only existed for six years before the onset of America’s next big conflict, the Civil War, and the faculty and students responded dutifully. In fact, the first seven graduates of the college were not even present at the awarding of their degrees, having already been allowed to leave to serve in Missouri. Two of these courageous men gave their lives by the end of the war. 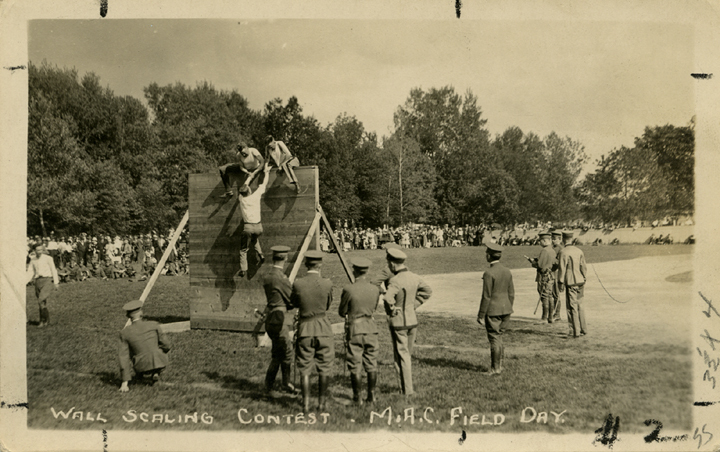 The cadets of 1915 have a wall scaling contest. 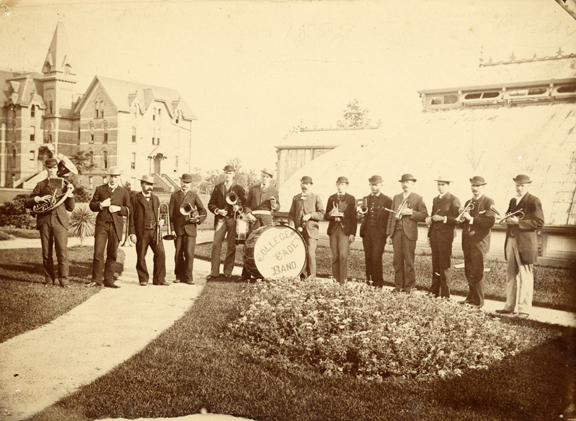 For its duration, the First World War was not as widely discussed across campus. 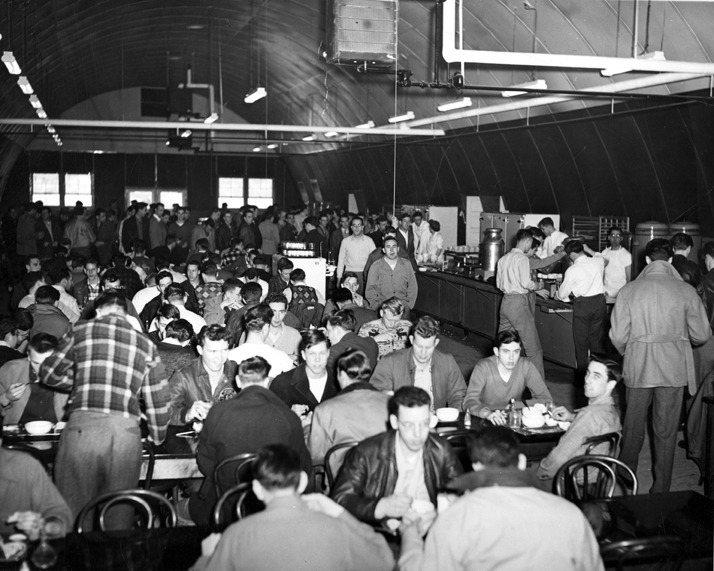 Certainly faculty and students participated in the war effort, but there was a restraint in discussions and support that persisted until World War II. And while World War I was no less devastating to the family and friends of M.A.C. 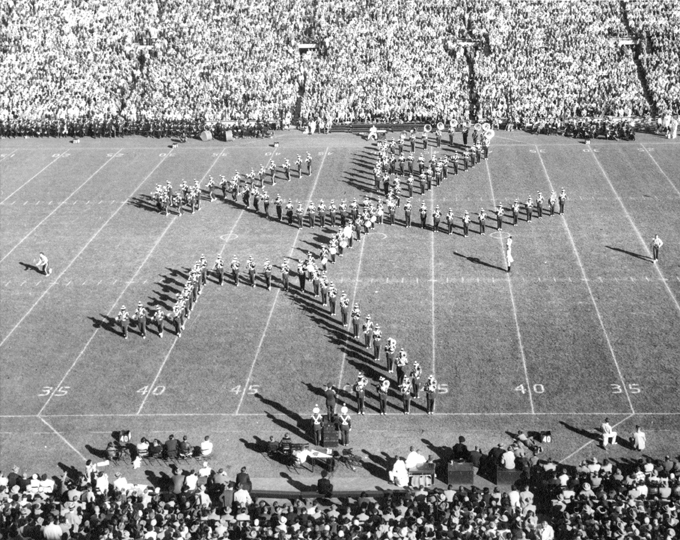 than the Civil War in terms of casualties, stories of bravery and commitment, and, occasionally, comical coincidences did float back to campus. One such story arose from two men named Ralph Johnson and Paul Ginter. 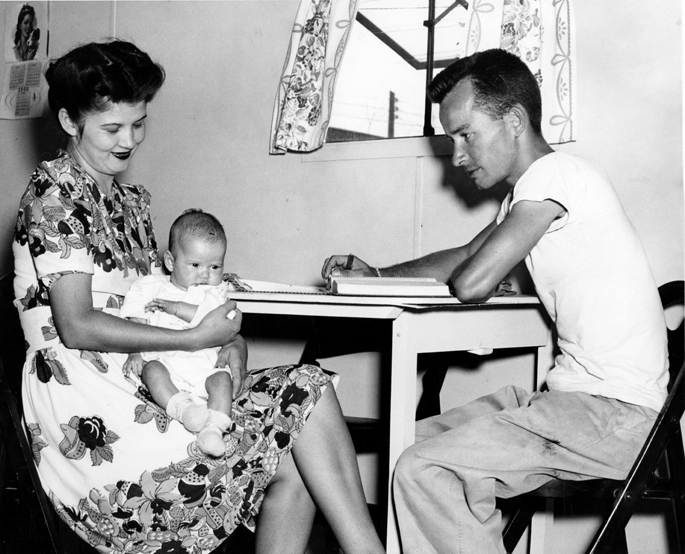 These soldiers met in an aid hospital in France shortly after the outbreak of war, and found quickly that not only were they both graduates of M.A.C., but that both were forestry majors! Comforting how our college can form bonds between men and women in the most unusual of circumstances. 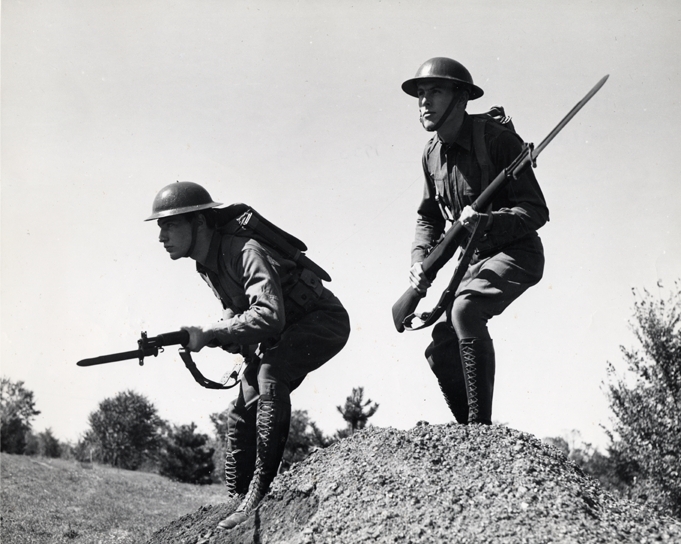 Two men train on campus in the 1920s. 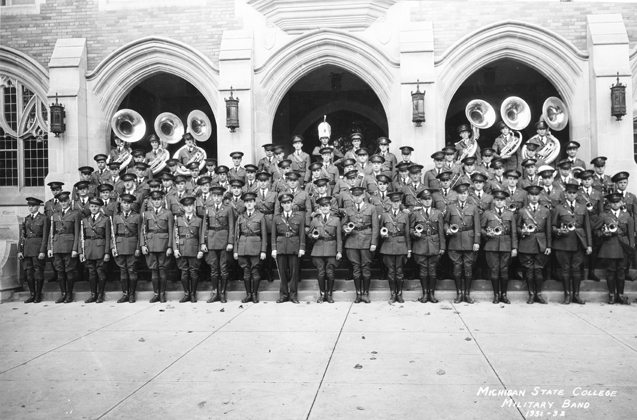 With the arrival of World War II came a new community spirit the likes of which M.S.C. had never seen before. After the bombing of Pearl Harbor and the beginning of U.S. involvement, M.S.C. 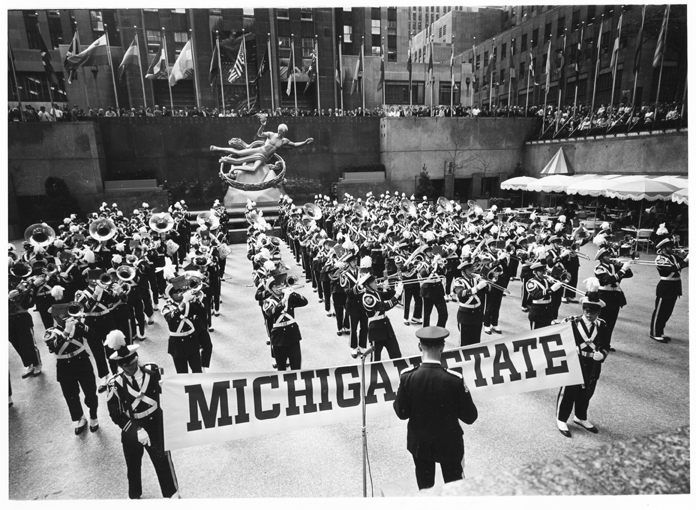 president Hannah was instrumental in adapting the ways of Michigan State. The college created a new summer school program so that students could finish their degrees within two years and move on to serve. 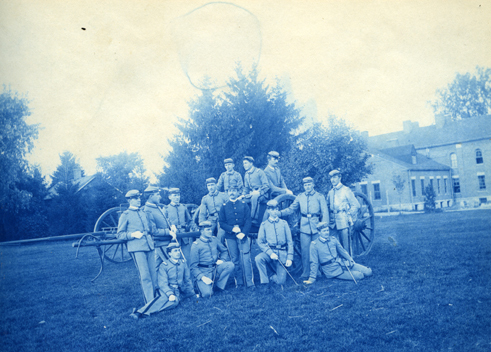 New interdisciplinary classes and training programs were imposed in order to ready the enlisted youth and faculty—nearly 6,200 of them, just at the start—at M.S.C. for service. Professors believed the soldiers of M.S.C. needed a rounded education to be entirely prepared-after physical training the students were taught foreign languages, map making and aerial photography skills, and the benefits of geopolitics. 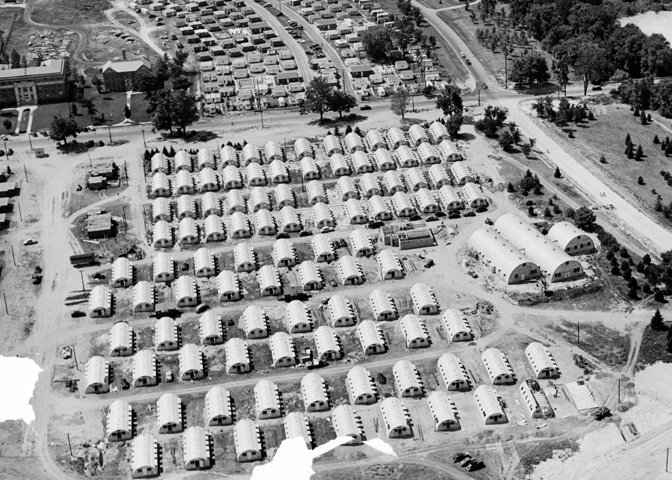 At some points, up to 50% of the population on campus were soldiers assigned for training at MSU by the US War Department. These great numbers of people, in addition to the usual crowds of students, strained resources in the area, but this was a challenge the students and residents of East Lansing were willing to take. 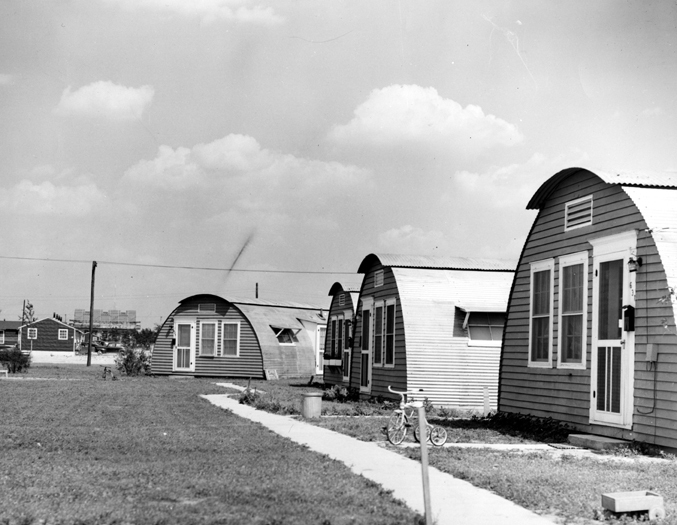 Civilians in the area learned first aid training and fire fighting skills, they threw parties and sold produce grown in their Victory Gardens to buy war bonds, they entertained veterans around the state, and they researched ways to improve the war. This included food production as well as penicillin and rubber manufacturing. M.S.C. also supplied laborers to help on farms that were struggling to meet their quotas. Radio stations, newspapers, and every college department pitched in to help the effort. Michigan State experienced camaraderie unlike any before. 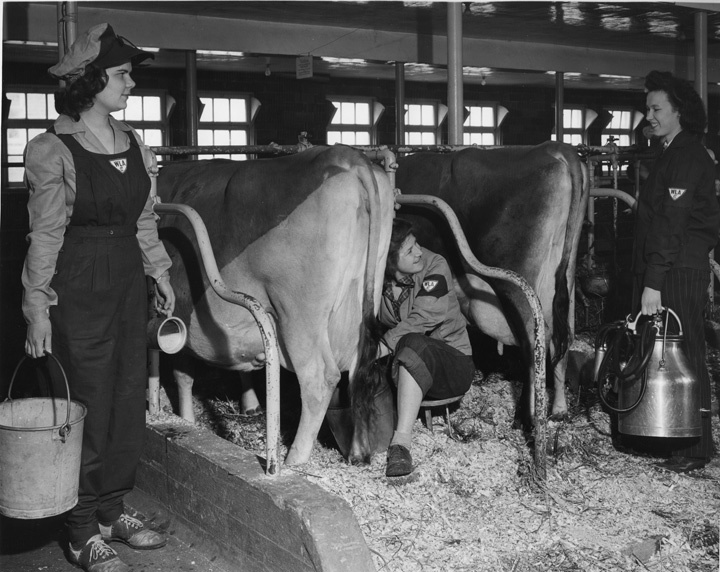 Three girls in the Women’s Land Army help out on a farm in 1944.